Twin baby shower cakes are fun to design. If you're expecting twins, your party will definitely need this unique focal point. With so many options, from professional cakes to home baked, you may be looking for some inspiration in planning and designing your own. It's good to have a theme in mind and can be helpful if you know the genders of your babies-to-be. But, either way, it's neat to be able to actually see some of the twin baby shower cakes other moms have had. This page is dedicated to viewing and sharing those ideas and designs. Some are truly one-of-a-kind creations, while others are simple and easy to do on a budget. Just scroll down the page (past the submission form) to click through our visitor's contributions. If you would like to share your own photo, just submit your image via the form below. What a cool way to help fellow twin moms with their special day! 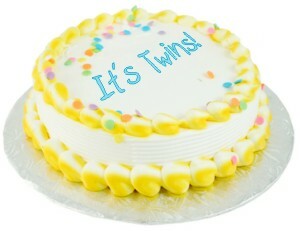 Have A Great Twin Baby Shower Cake Photo? You can share your photo(s) here! It's fun and easy. 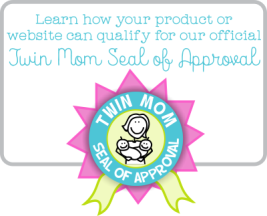 Just follow the steps below and you're on your way to having your twin baby shower cake image live on our website! You may want to add who made your cake, where your shower was held, or the inspiration for the theme. Add your photo or photos here. Click the button and find the first one on your computer. Select it and click on the button to choose it. See Other Twin Baby Shower Cakes! Pregnant belly twin baby shower cake with Harley theme. Twin having Twins - I loved this cake. I had no idea until I saw it. I think Thing 1 and Thing 2 was such a cute idea for twin boys! It was a lot of fun! my best friend and my sister threw me my baby shower, I was lucky to have such great friends and family. this is a pic of my beautiful cake. Baby Shower Cake For My Twin Boys! Western Themed BBQ Babyshower for Mom of twin boys. The cake reads: Double the Trouble Double the Fun Whit and Frank are Having 2 Little Ones!